There is no doubt that the Venezuelan-Iranian alliance and its growing force in Latin America goes a long way towards explaining South America's sudden urge to recognize "Palestine." But there is more to the story. Israelis can be excused for wondering what happened that Brazil and Argentina unexpectedly announced they recognize an independent Palestinian state with its capital city in Israel's capital city. Israelis can be forgiven for being taken by surprise by their move and by the prospect that Uruguay, and perhaps Paraguay, Chile, Peru, Ecuador and Salvador will be following in their footsteps because the Israeli media have failed to report on developing trends in Latin America. And this is not surprising. The media fails to report on trends anywhere. When the Turkish government sent Hamas supporters to challenge the IDF's maritime blockade of the Hamas-controlled Gaza coastline, the media were surprised that Israel's ally Turkey had suddenly become Hamas's ally and Israel's enemy. Their failure to report on Turkey's gradual transformation into an Islamic supremacist state caused the media to treat what was a culmination of a trend as a shocking new development. The same is now happening with Latin America. Whereas in Turkey, the media failed only to report on the significance of the singular trend of Islamization of Turkish society, the media has consistently ignored the importance for Israel of three trends that made Latin America's embrace of the Palestinians against Israel a predictable conclusion. Those trends are the rise of Hugo Chavez, the influence of the Venezuela-Iran alliance, and the cravenness of US foreign policy towards Latin America and the Middle East. When viewed as a whole they explain why Latin America is lining up to support the Palestinians. They tell us something about how Israel should be acting to advance its interests regarding Iran and the Palestinians moving forward. Over the past decade Venezuelan dictator Hugo Chavez has inherited Fidel Castro's mantel as the head of the Latin American anti-American club. He has used Venezuela's oil wealth, drug money and other illicit fortunes to draw neighboring states into his orbit and away from the US. Chavez's circle of influence now includes Cuba and Nicaragua, Bolivia, Uruguay and Ecuador as well as Brazil, Paraguay, Argentina and Peru. Democracies like Colombia and Chile are also taking steps in Chavez's anti-American direction. Largely out of hatred for America, Chavez has turned to Iran as a strategic ally. Although it raised a few eyebrows when it first came onto the radar screen in 2004, Chavez's choice of Iran as a strategic ally was not a fluke. Iran's footprint in Latin America has grown gradually. Beginning in the 1980s, Iran has used Latin America as a forward base of operations against the US and the West. It deployed Hizbullah and Revolutionary Guards operatives and other intelligence and terror assets along the largely ungoverned tri-border area between Argentina, Paraguay and Brazil. That staging ground in turn enabled Iran to bomb Israeli and Jewish targets in Buenos Aires in the early 1990s. Iran's presence on the continent enabled it to take swift advantage of Chavez's consolidation of power. Since taking office in 2005, Iranian President Mahmoud Ahmadinejad has developed strategic alliances with Venezuela and Nicaragua. With Chavez's assistance, Teheran is expanding its web of alliances throughout Latin America at the expense of the US and Israel. Bolivia and Venezuela cut their diplomatic ties with Israel in January 2009 after siding with Hamas in Operation Cast Lead. In comments reported in the Hudson New York website, Ricardo Udler, the president of the small Bolivian Jewish community said there is a direct link between Bolivia's growing ties with Iran and its animosity towards Israel. In his words, "Each time an Iranian official arrives in Bolivia there are negative comments against the State of Israel and soon after, the Bolivian authorities issue a communiqu� against the Jewish state." Udler also warned that, as he put it, "there is information from international agencies that indicate that uranium from Bolivia and Venezuela is being shipped to Iran." On the face of it, Chavez and Ahmadinejad seem like an odd couple. One is a Marxist and the other is a messianic jihadist. But on closer inspection it makes perfect sense. The share the same obsessions with hating the US and loving power. Chavez has demonstrated his commitment to maintaining power by crushing his opponents, taking control over the judiciary and media, amending the constitution and repeatedly stealing elections. Meanwhile, the WikiLeaks sabotage campaign against the US gave us a first person account of the magnitude of Ahmadinejad's electoral fraud. In a cable from the US Embassy in Turkmenistan dated 15 June 2009, or three days after Ahmadinejad stole the Iranian presidential elections, the embassy reported a conversation with an Iranian source regarding the true election results. The Iranian source referred to results as a "coup d'etat." The regime declared Ahmadinejad the winner with 63% of the vote. According to the Iranian source, he received less than a tenth of that amount. As the cable put it, "based on calculations from [opponent Mir Hossain] Mousavi's campaign observers who were present at polling stations around the country and who witnessed the vote counts, Mousavi received approximately 26 million (or 61%) of the 42 million votes cast in Friday's election, followed by Mehdi Karroubi (10-12 million)�. Ahmadinejad received 'a maximum of 4-5 million votes,' with the remainder going to Mohsen Rezai." There is no doubt that the Venezuelan-Iranian alliance and its growing force in Latin America goes a long way towards explaining South America's sudden urge to recognize "Palestine." But there is more to the story. The final trend that the media in Israel have failed to notice is the impact of US foreign policy - in South America and the Middle East alike - has had on the positions of nations like Brazil and Argentina towards Israel. During the Bush administration, US Latin America policy was an incoherent bundle of contradictions. On the one hand, the US failed to assist Chavez's opponents overthrow him when they had a chance in 2004. The US similarly failed to support Nicaraguan democrats in their electoral fight against Sandinista leader Daniel Ortega in the 2007 elections. On the other hand, the US did foster strong alliances with Colombia and Honduras. Under the Obama administration, the US Latin American policy has become more straightforward. The US has turned its back on Colombia and Honduras. US President Barack Obama is interested in appeasing the Chavez crowd and he doesn't mind if that means he has to humiliate himself. In April 2009 Obama sat through a 50-minute anti-American rant by Ortega at the Summit of the Americas. He then sought out Chavez for a photo-op. In his own address Obama distanced himself from US history saying, "We have at times been disengaged, and at times we sought to dictate our terms. But I pledge to you that we seek an equal partnership. There is no senior partner and junior partner in our relations." Unfortunately, Obama's attempted appeasement hasn't done any good. Nicaragua invaded neighboring Costa Rica last month along the San Juan River. Ortega's forces are dredging the river as part of a plan with Iran to build a canal along the Isthmus of Nicaragua that will compete with the Panama Canal. Indeed, even Obama's ambassador in Managua admitted in a recent cable that Ortega remains deeply hostile to the US. In a cable from February illicitly published by WikiLeaks Ambassador Robert Callahan argued that Ortega's charm offensive towards the US was "unlikely to portend a new, friendly Ortega with whom we can work in the long-term." It is not simply the US's refusal to take defend itself against the likes of Chavez that provoke the likes of Brazil's President Luiz Ignacio Lula da Silva and Argentina's President Cristina Fern�ndez de Kirchner to embrace Chavez and Iran. They are also responding the US's signals towards Iran and Israel. Obama's policy of engaging and sanctioning Iran has no chance of preventing Iran from acquiring nuclear weapons and just like the Arabs and the Europeans, the South Americans know it. There is no doubt that at least part of Lula's reason for signing onto a nuclear deal with Ahmadinejad and Tukey's Reccip Erdogan last spring was his conviction that the US has no intention of preventing Iran from acquiring nuclear arms. From his perspective, there is no reason for him to participate in the US charade of preventing Iran from becoming a nuclear power. He might as well be on the winning side. And since Obama doesn't mind Iran winning, Iran will win. The same rules apply for Israel. 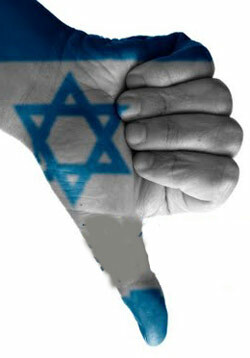 Like the Europeans, the Arabs, the Asians and everyone else, the Latin Americans have clearly noted that Obama's only consistent foreign policy goal is his aim of forcing Israel to accept a hostile Palestinian state and surrender all the land it took control over in 1967 to the likes of PLO chief Mahmoud Abbas and Syrian dictator Bashar Assad. They note that Obama has refused to rule out the possibility of recognizing a Palestinian state even if that state is declared without a peace treaty with Israel. That is, Obama is unwilling to commit himself to not recognizing a Palestinian state that will be in a de facto state of war with Israel. The impression that Obama is completely committed to the Palestinian cause was reinforced this week rather than weakened with the cancellation of the Netanyahu-Clinton deal regarding the banning of Jewish construction in Judea, Samaria and Jerusalem. The deal which was to see Israel banning Jewish construction for an additional 90 days in exchange for a US pledge not to ask for any further bans, to support Israel at the UN Security Council for a limited time against a Palestinian push to declare independence without peace, and to sell Israel an additional 20 F-35 fighter jets sometime in the future. It came apart because Obama was unwilling to put Clinton's commitments - meager as they are - in writing. That is, it fell apart because Obama wasn't able to make even a minimal pledge to continue to maintain the US's alliance with Israel. This policy signals to the likes of Brazil and Argentina and Uruguay that they might as well go with Chavez and Iran and turn their backs on Israel. No one will thank them if they lag behind the US in their pro-Iran, anti-Israel policies. And by moving ahead of the US, they get the credit due to those who stick their fingers in Washington's eye. When we understand the trends that led to Latin America's hostile act against Israel, we realize two things. First, while Israel might have come up with a way to delay the action, it probably couldn't have prevented it. And second, given the US policy trajectory, it is again obvious that the only one Israel can rely on to defend its interests - against Iran and the Palestinians alike -- is Israel. Freeman Note: What Caroline Glick describes above is but one more failure of the Israeli Foreign Ministry. Since the First Lebanon War, the IFM has taken as its primary role: apology, peace, post Zionism and appeasement of terrorism. Only independent groups like the Freeman Center have consistently presented a Zionist, unapologetic approach to Israel foreign policy. Our cost to the Israeli taxpayer is zero, yet we are 1000 times more effective than all Israeli diplomats.